Bow Barracks Forever is a film about the triumph of the human spirit. It is not easy to fight back the march of progress. And progress brings with it change-change that is often painful, that breaks continuity, that destroys tradition, history, the power and the passion of communities that have lived and grown together over decades. Anjan Dutt's film, simple, powerful, almost pleading for hope, captures the real life story of a tiny but resolute Anglo Indian community right in the heart of bustling north Kolkata trying desperately to keep alive its hopes, dreams, aspirations-and its identity, as the world around them changes swiftly and tries to impose that change on them and their lives. It is a tale of heart breaking loneliness and immense courage. It is a film we are proud to put out. For we, as a production house, believe that film makers like Anjan Dutt not only challenge us to look at life differently but also tell us apocryphal tales about brave, lonely people who fight their destiny and, in the process, redefine the landscape of Indian cinema. 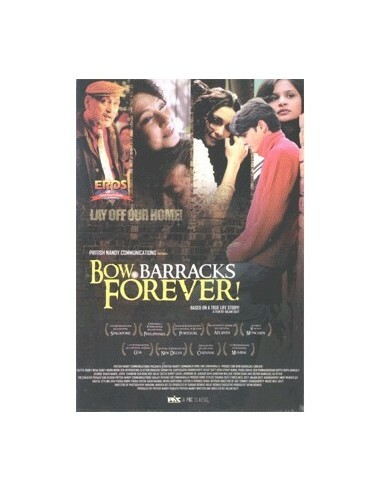 Bow Barracks Forever is a film that will stay with you for years.